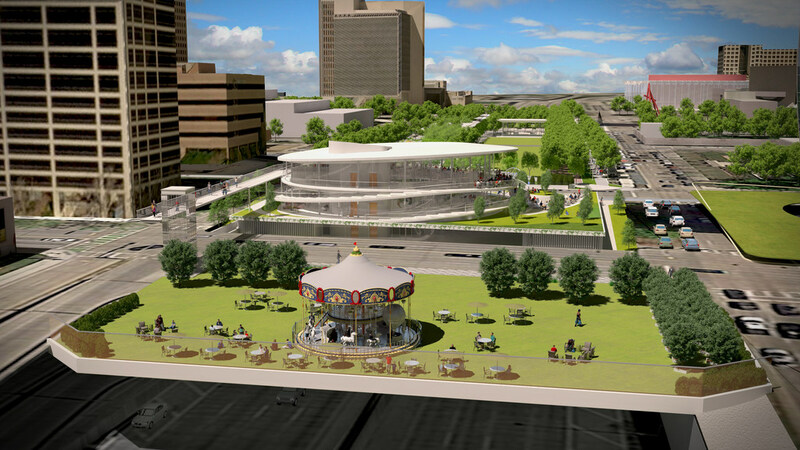 Officials are moving forward with plans to expand Klyde Warren Park, which is on top of Woodall Rodgers Freeway (Spur 366) in downtown Dallas. There is limited space to expand and the expansion doesn't look all that impressive, but pavilion will serve currently unmet needs of a visitor center and event space. The small green space on the west end seems to be disconnected and less useful. Maybe a better use than a merry-go-round will be found. According to the article, $60 million of the $76 million cost is funded. 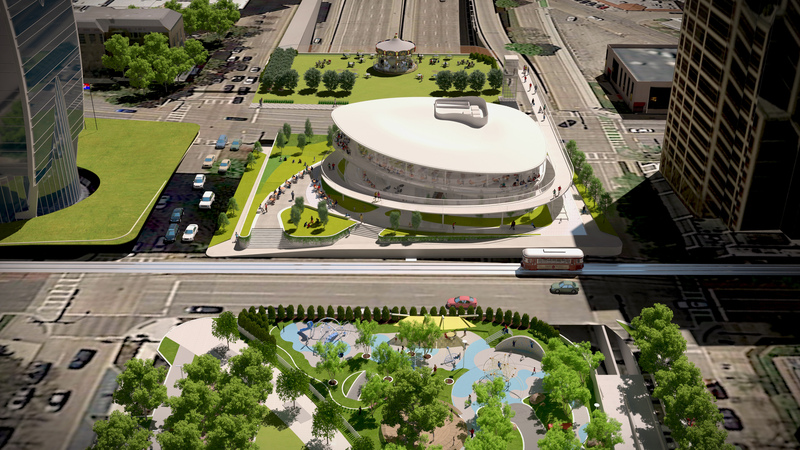 The central feature of the planned 1.2-acre, $76 million expansion is a two-story, 16,000- to 20,000-square-foot pavilion planned for the blank space between North St. Paul and North Akard streets, in front of Hunt Consolidated headquarters. But the new development will also mean some added park space and parking. The pavilion, which the park will manage, will serve several functions. On the first floor, VisitDallas plans to build out a 10,000-square-foot visitor center — or an "experience center" — using high tech to sell the city, said Phillip Jones, the convention and visitors bureau's CEO. The second floor will contain an event space roughly the same size, which the park will rent out for meetings, weddings — anything that can help the park create revenue to expand its programming. The expansion also includes a small addition of green space: a new overhang off Akard facing west that was referred to in earlier expansion plans as "Sky Deck."